Select the Path Type object and go Type > Type on a Path > Type on a Path Options to bring up the Type on a Path dialog. 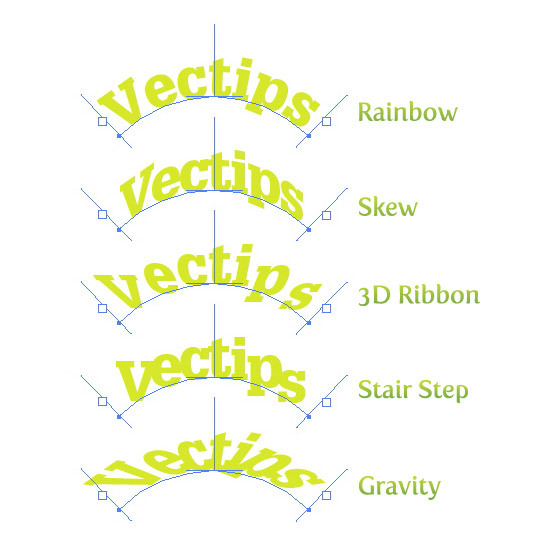 Chose from Rainbow, Skew, 3D Ribbon, Stair Step and Gravity to control the orientation of the type relative to the path. 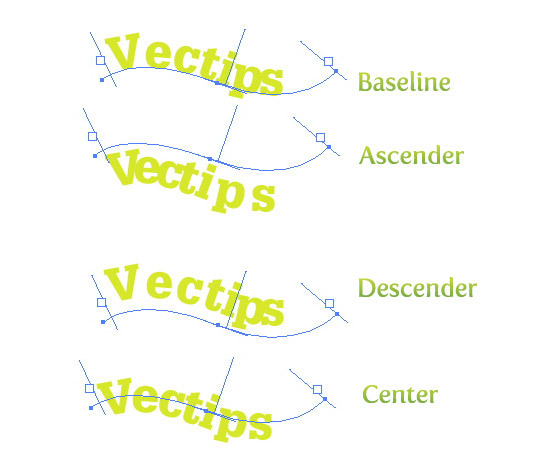 Chose from Baseline, Ascender, Descender and Center to determine what part of the type lines up with the path. Chose a spacing value to create consistent spacing between characters on a curved path. A higher spacing value brings the characters closer to each other and helps with spacing issues. Flip the side of the path which the text appears. oh my goodness 🙂 I don’t even know the function exist before I went here. I knew that Illustrator type on path is not as powerful as other vector application, however some of this still helps in design. Thank you. Is there an option where I can set the distance of the text from the path line? Thanks, it really helped me. I am designing a clock, I need to type numbers around a circle path. should I need to create different circle path for each number or can I type the numbers on same circle path spacing by tab? Can’t believe it’s so easy, I was roaming in illustrator so long. Please please help me with this one. I would love to know how to set type on a round path like this!! DIOS LOS BENDIGA ME SALVARON GRACIAS POR EL TUTORIAL. Good VISUAL illustration of path on a type options! been lurking for about a month, wish you had been around when I was just starting out, great resource for young vector designers and iconographers. nice to see these options spelled out so nicely… thanks for the tips! wow, thanks for these great tips! 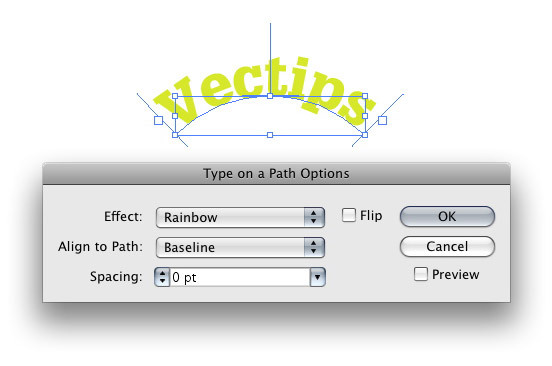 I’ve always had issues when working with type on paths in illustrator..these tips will solve a lot of them! Handy tips to remember, thanks for the post. I love the site, it’s got a nice clean design!